1944 - Reno, NV. Bonanza Club opened at 207 North Center St., Reno. 1910 - Enid Oklahoma. Samuel A. "Sam" Boyd (April 23, 1910 � January 15, 1993) was an American businessman and casino manager and developer. 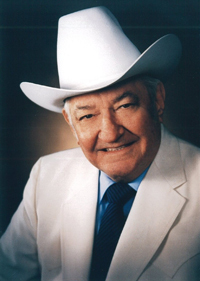 Boyd is noted for introducing successful marketing, gaming, and entertainment innovations into the casino gaming industry, as well as building one of the largest and most successful casino empires in the world.Born in Enid, Oklahoma, Boyd began his career in the gaming industry in 1928, when he ran bingo games on a gambling ship offshore Long Beach, California. 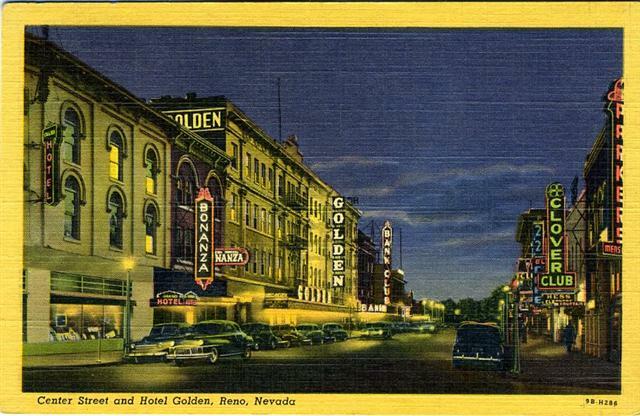 Just prior to the United States entering World War II in 1941, Boyd moved to Las Vegas, Nevada with only $30 on hand. 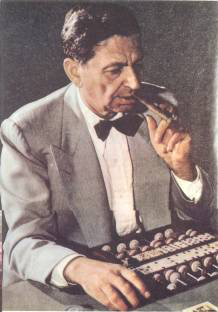 Sam Boyd was able to quickly make his way up through the gaming industry by initially working as a dealer. He later went on to hold a variety of jobs in the industry, moving between Reno, Nevada and Lake Tahoe, California before moving back to Las Vegas. Having saved up a substantial amount of cash, in 1952 Boyd invested $10,000 to become an owner-partner at the Sahara Hotel and Casino. .
1964 - Reno, NV. Golden Gulch Casino (Hickok's), located at 34 East Second Street in Reno, is licensed for slots, chuck-a-luck and wheel of fortune. 1946 - Las Vegas, NV. Indian Village Casino opens on Las Vegas Strip. 1950 - Las Vegas, NV. 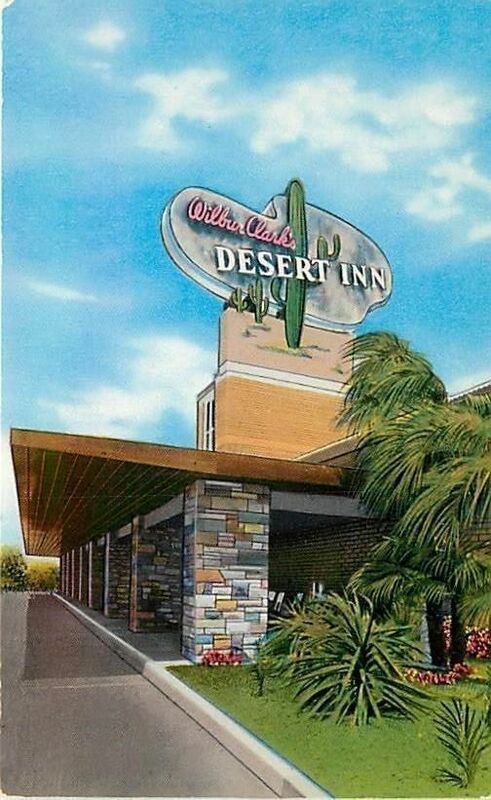 The Desert Inn, also known as the D.I., was a casino hotel on the Las Vegas Strip in Paradise, Nevada, which operated from April 24, 1950, to August 28, 2000. 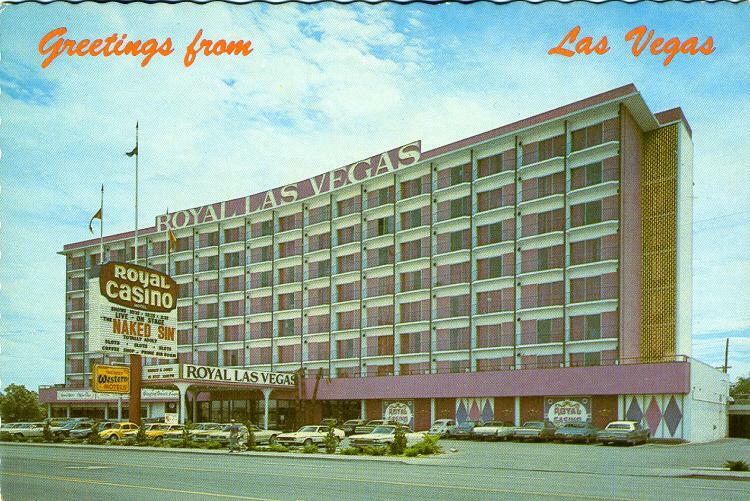 Designed by New York architect Jac Lessman, it was the fifth resort to open on the Strip. 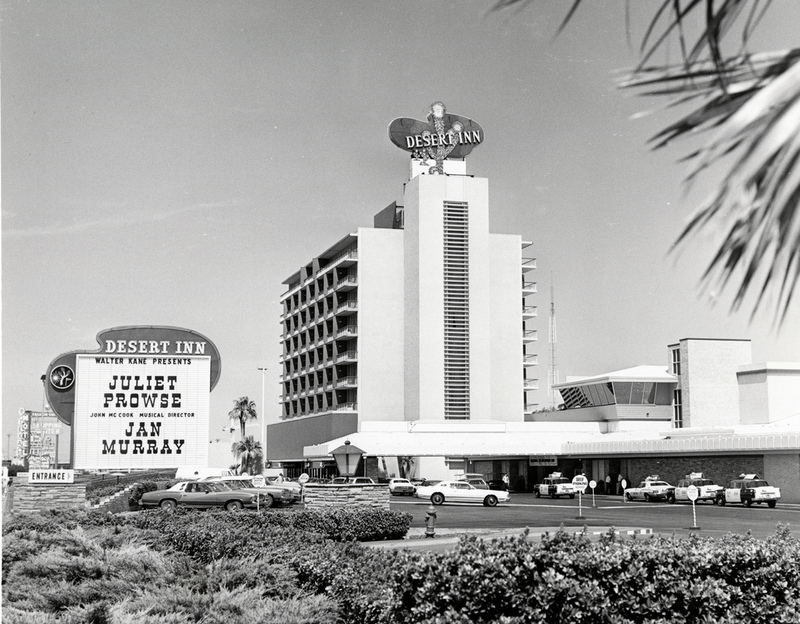 It was situated between Desert Inn Road and Sands Avenue.The Desert Inn opened with 300 rooms and the Sky Room restaurant, headed by a chef formerly of the Ritz Paris, which once had the highest vantage point on the Las Vegas Strip. 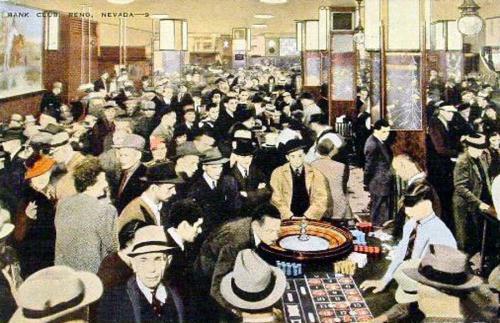 The casino, at 2,400 square feet (220 m2), was one of the largest in Nevada at the time. The 9-storey St. Andrews Tower was completed during the first renovation in 1963, and the 14-storey Augusta Tower became the Desert Inn's main tower when it was completed in 1978 along with the seven-story Wimbledon Tower. The Palms Tower was completed in 1997 with the second and final renovation. The Desert Inn was the first hotel in Las Vegas to feature a fountain at the entrance. .
1974 - Las Vegas, NV. Royal Las Vegas Hotel & Casino opens at 99 Convention Center Drive. 1994 - Tunica, MS. Lady Luck Casino closes. 1931 - Reno, NV. Bank Club in Reno had a Grand Opening. The casino had been operating in the basement since before gambling was legal. 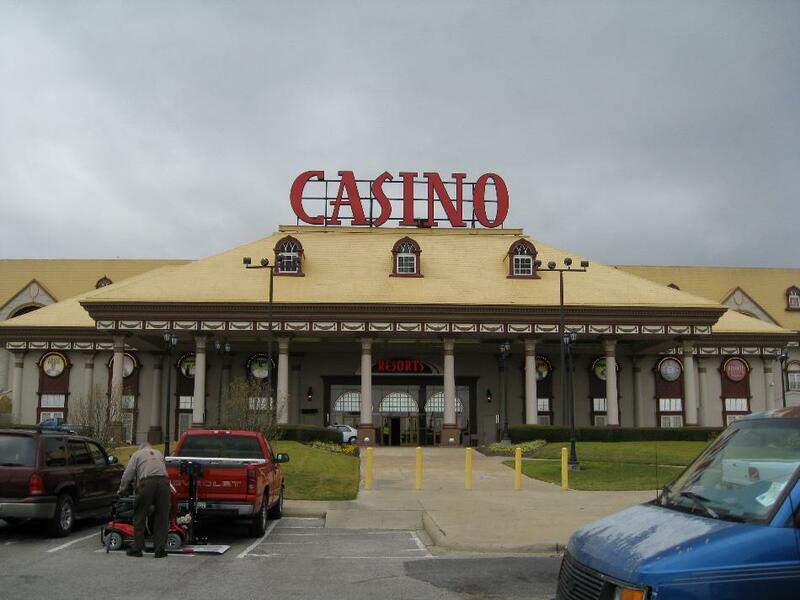 After gambling was legalized, they renovated the ground floor and opened a nearly 5000 square foot casino, the largest in the state, at the time. .
2005 - Robinsonville, MS. Harrah's Mardi Gras closes. 1982 - Las Vegas, NV. Peppermill Casino opens at 3049 Las Vegas Blvd. South, on the Las Vegas Strip. 2005 - E. Chicago, IN. Harrah's Showboat Mardi Gras casino becomes Resorts Casino. 2005 - Robinsonville, MS. Resorts Casino opens. 1883 - Rethymnon, Crete. Nikos "Nick the Greek" Dandolos 1966) was born in Rethymnon, Crete and was a professional gambler and high roller.Dandolos was the son of wealthy parents. He attended the Greek Evangelical College and earned a degree in philosophy. When he was 18 years old his grandfather sent him to the U.S.A. with an allowance of $150 per week. Although Dandolos settled down in Chicago he eventually moved to Montreal where he began gambling on horse races.Dandolos was known throughout his life for winning and losing large sums of money. After winning over $500,000 on horse racing, he moved back to Chicago where he lost it all on card and dice games. He quickly became a master of these games, however, and became a prime attraction at casinos when he would play in them. .
1998 - Las Vegas, NV. The Aladdin closed on November 25, 1997. NCL/National Content Liquidators conducted an on-site liquidation sale beginning March 5, 1998, and continued until the building was "sold out". 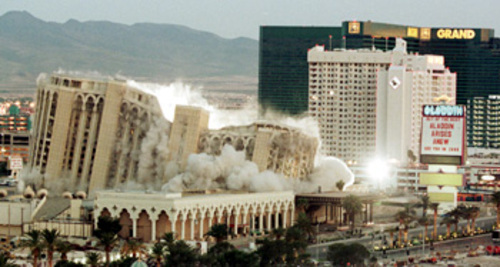 On April 27, 1998, the entire resort was imploded at 7:27 pm, except for the Aladdin Theatre to make way for the construction of an entirely new casino. Sommer took on London Clubs International as a partner in developing the new casino resort. LCI initially paid $50 million for a 25% interest, but took on additional equity after Sommer was unable to fund his share of cost overruns on the construction. 2002 - Laughlin, NV. 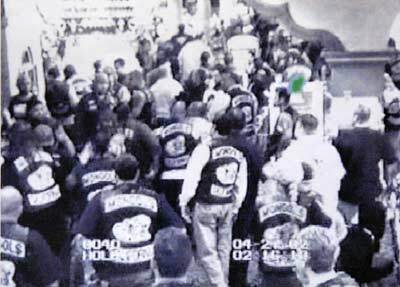 Harrah's casino in Laughlin was the scene of a deadly confrontation between rival biker gangs. It occurred during the 20th annual Laughlin River Run, the largest gathering for motorcycle enthusiasts in the Western United States, with anywhere from 70,000-80,000 participants. The confrontation between the Hell's Angels and their rival, the Mongols, resulted in the deaths of three men. The incident occurred slightly after 2 am in the morning. Roughly 40 members of the Mongols biker gang were partying at Rosa's Cantina, a bar that was within the casino. A group of anywhere from 30 to 40 Hell's Angels entered the casino from the valet parking entrance. Casino security immediately took notice of a possible situation and moved to intercept the Hells Angels members. Shortly after, insults began to be shouted between the rival gang members. This led to a Hells Angel kicking a Mongol in the chest, touching off a massive brawl. The whole thing was caught on surveillance video. It only lasted a minute.